How to make money using Smartphone apps - earn cash with your mobile. It’s rare nowadays to go anywhere and not see people using their mobile phones, and not necessarily for making phone calls. Whether it’s scrolling though Facebook or playing candy crush, it’s easy for time to fly by while we’re just casually playing with our smartphones. Why not use that time spent on your phone to add some pennies to your piggy bank? 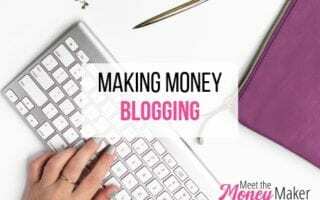 You don’t need to have a computer to start making money online. Here are some of the apps I have and use for earning on my phone. Voxpopme is a survey app with a bit of a difference, you make short videos of your responses to the surveys. Once you get over the initial weirdness of filming yourself (I hate seeing myself on the camera!) it’s actually really easy to use and pays reasonably well for a survey app. All survey values are shown in cash so there’s no messing about with points, and when you get to £10 you can withdraw to PayPal. It also has a generous referral program and gives you £1 for every friend who signs up and takes their first survey. Qmee is an app that has a survey section and a coupon section with money off codes. The great thing about this app is all surveys are paid in cash and you can withdraw to PayPal at any point, so you don’t have to wait around to build your balance before getting your money. You can also add their browser extension on your computer and get paid for your searches too. Related post: Get cashback on your shopping with supermarket cashback apps. Vypr is one of my favourites because it’s so easy to do, you can just check in whenever you have a couple of minutes spare. It’s available on iphone and android. Vypr asks for your responses to buying/using different foods. It gives you short, simple questionnaires (called Steers) which are worth various points depending on length. There are also steers which you can complete in store which are worth more points. When you reach 10000 points (£5) you can cash out to PayPal. It can be a little slow to reach 10000 but it’s so easy to do, well worth the few seconds checking the app to see what’s available. CitizenMe is a super quick and easy app to use. Answer short simple surveys and the reward is paid immediately after into your PayPal account. Turn on notifications so you don’t miss the surveys as they don’t always last long. Job Spotter is a great app if you’re in a town/city and often out and about. Operated by Indeed.com, it pays you to take pictures of job adverts you see. The smaller or more independent the business, the more you get paid, but they still pay out smaller amounts for large chain adverts too. You can also get paid to verify other people’s submissions too – just say whether or not the image is clear. Jobspotter pays in Amazon Gift Cards. If you have and use a smartphone, why not give some of these a try? Want even more money making apps? 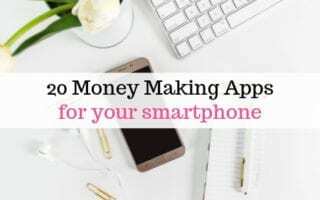 Take a look at my post on 20 apps that can be used to make money.